I heard somewhere that Memorial Day rates the highest of all days of the year for American meat consumption. And judging from my family alone, I can’t say I’m surprised. Last weekend, in a span of 3 short days, we had burgers, steaks, pork chops, smoked pork shoulder, beef brisket and grilled chicken. Now, I love me some meat, and meat hot off the grill most of all, but it left us all feeling a bit, well… heavier, than when we started out. I actually found myself craving tofu and lettuce when we got home. Ok, that’s a lie. But it was almost that serious. Anyway, let’s just say that a vegetarian meal definitely wouldn’t do us any harm. Do you feel this way? Well, if you do, I have just the thing for you to make for dinner tonight. I know that we’re only a few days into the official summer season now, but I promise you, your grill will be waiting for you tomorrow. Cold peanut noodles beckon. 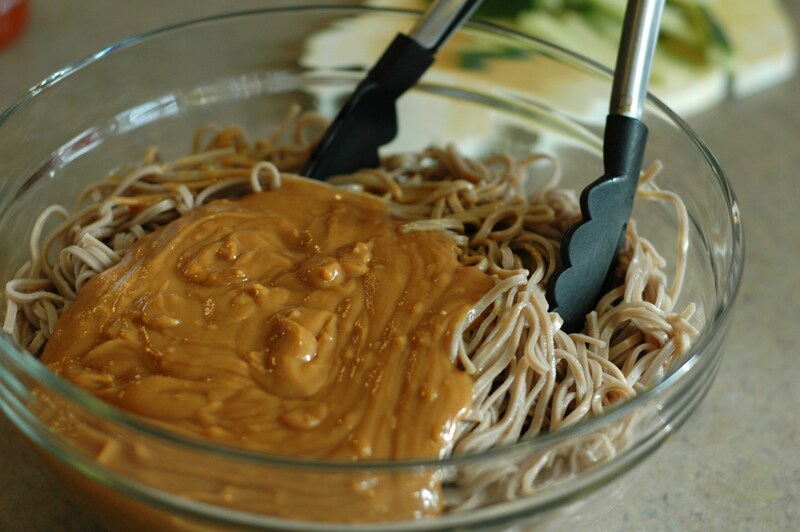 I found this recipe after searching high and low for something that could stand in for the peanut noodles at one of my favorite restaurants. I tried a few different ones, but this is the one that came closest after some fiddling. Since then, it’s become a dinner staple around here. 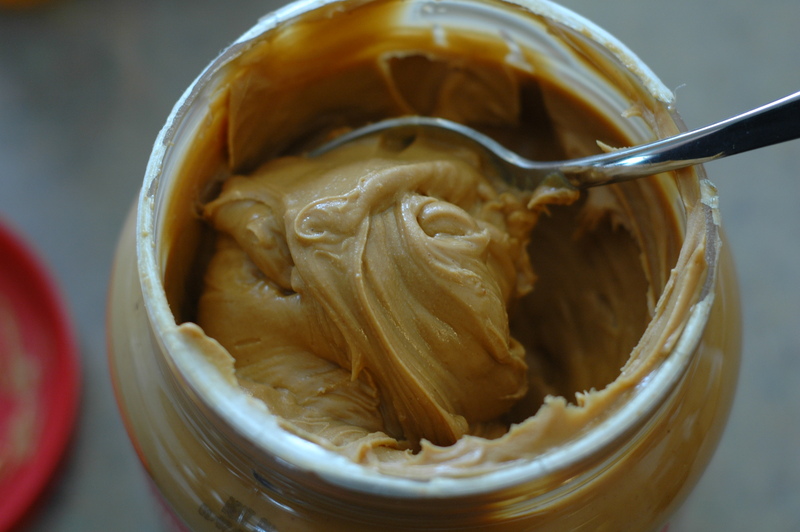 Even my husband, who was skeptical at first (“Peanut butter? Noodles? Seriously? !”), requests this one from time to time. I love it for a number of reasons. First and foremost, it’s delicious. That’s a given. But it’s also convenient, because almost all of the ingredients are always stocked in my pantry. 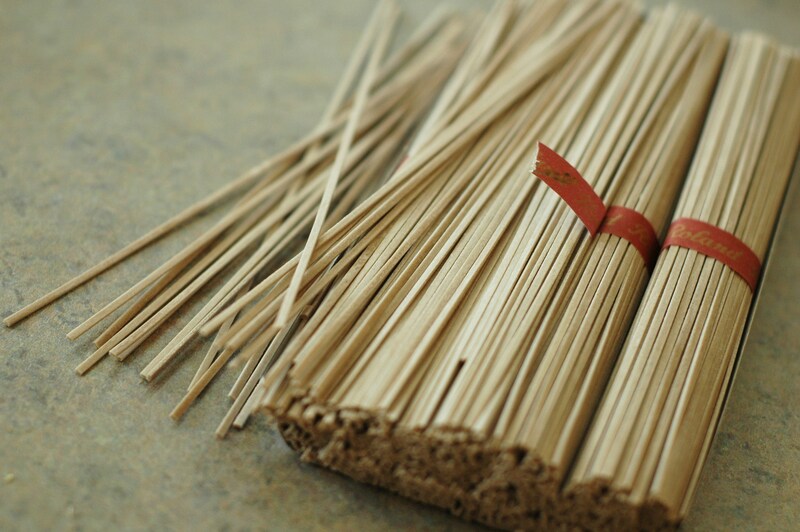 I’ve even been known to use spaghetti when we don’t have soba noodles. Actually, I think the original called for spaghetti, and I changed it. So nothing lost there. 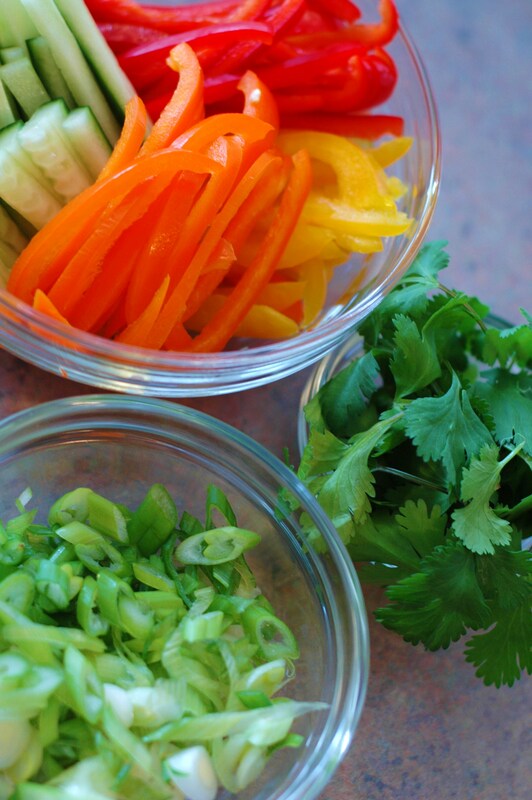 The garnishes depend on whats in the fridge. Anything cool, crisp, and fresh is perfect. I don’t usually have tofu around, but some cubes of firm tofu would make this even more meal-worthy. 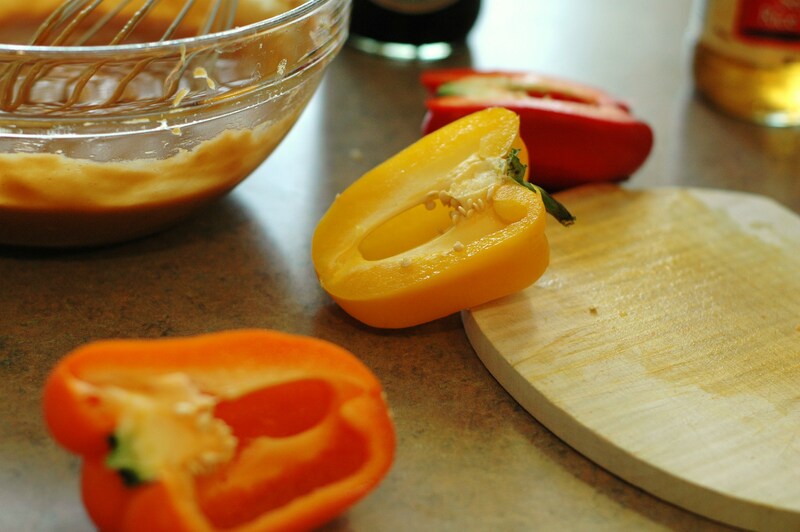 The original recipe calls for everything to be tossed together, but I have a thing for each person customizing their own veggies and garnishes. That way, everyone gets exactly what they want. That said, I usually just toss all the leftovers together before I put them in the fridge, and it’s great that way, too. 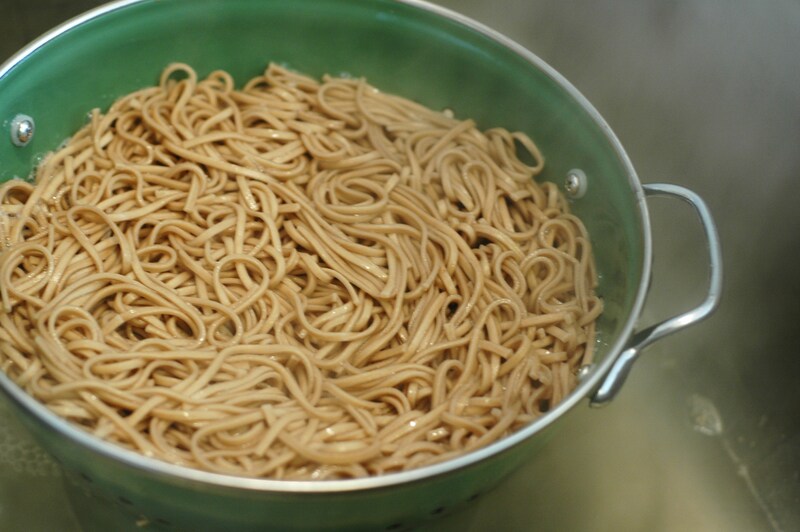 Cook soba noodles in a 6- to 8-quart pot of boiling salted water until tender. Drain in a colander, then rinse well under cold water. 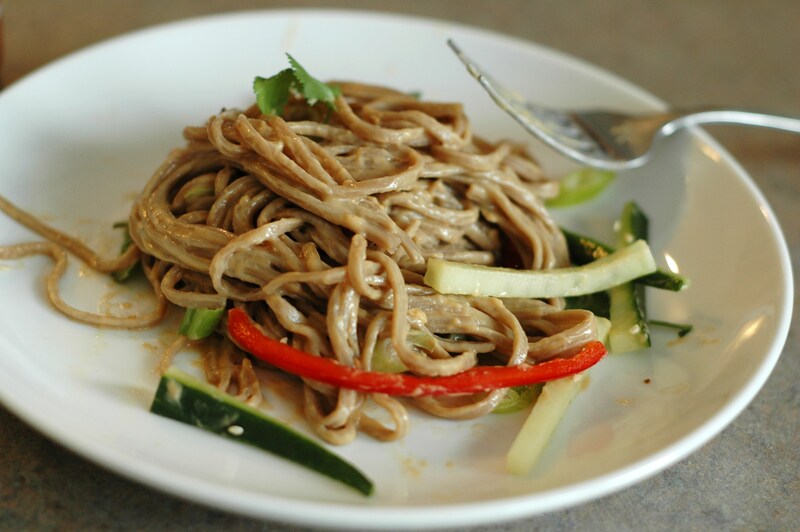 Toss noodles with the peanut sauce, then serve with veggies, sesame seeds, and cilantro alongside.